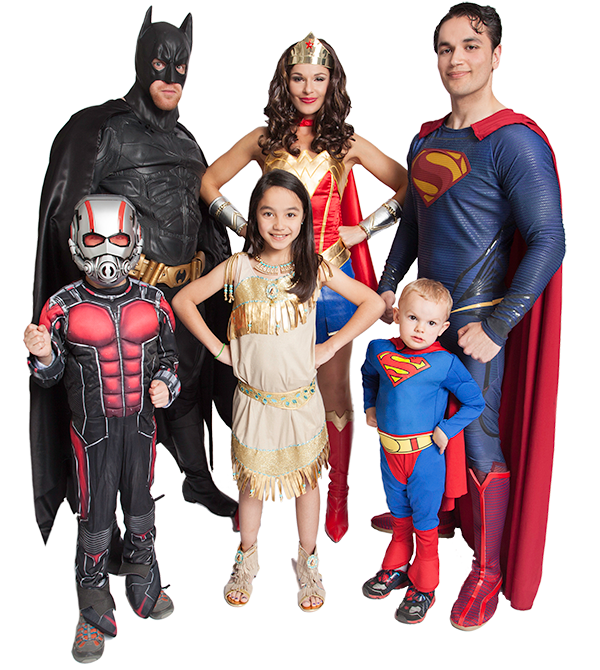 We Bring The Magic of Superheroes To You! 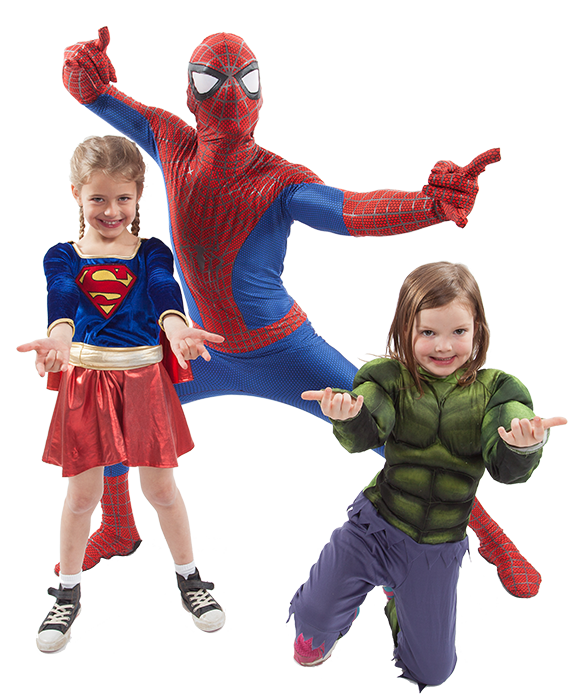 PRESENTED EXCLUSIVELY BY THE SUPERHERO COMPANY, THIS IS OUR SIGNATURE INTERACTIVE PARTY FOR BOYS AND GIRLS OF ALL AGES! Your Favorite Superhero makes a grand entrance to greet the Birthday Child and announce a search for a new Superhero Team! The Birthday Child and their friends are trained in the art of Super-Heroics, including a lesson on Signature Character Moves! Taking the Training to a new level, our Superhero will lead the kids in a series of interactive games and challenges to test their Strength, Speed and Agility! Each guest receives a temporary tattoo and a chance to test their Super Skills on the Superhero! 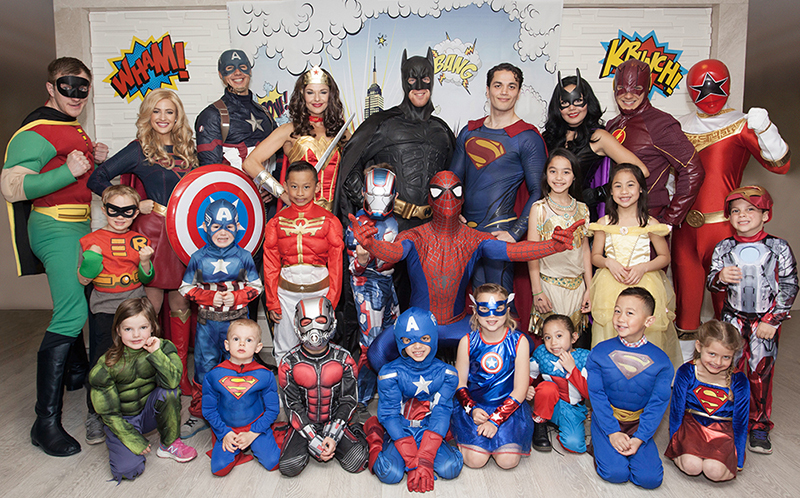 Our Superhero poses with the Birthday Child and their guests for a memorable Superhero Team Photo as well as individual photos with all the guests! The Birthday Child receives a Surprise Birthday gift and certificate from the Superhero and all the guests receive a signed Superhero Keepsake before being forever sworn in as members of the Superhero’s team! Our Superhero will sing Happy Birthday to the Birthday Child to celebrate their special day! $170 (+HST) for 60 minutes. Please inquire for pricing for areas outside of Toronto. Please contact our event planner for pricing information and how to customize your event. 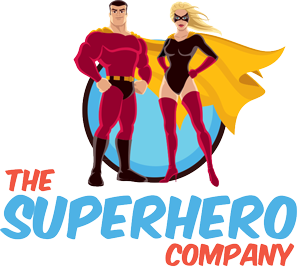 Whether you are looking to keep the kids entertained while you manage the main event, or you are looking to provide a unique entertainment experience for guests are your conference/congress or corporate event, this is the perfect Superhero party plan! 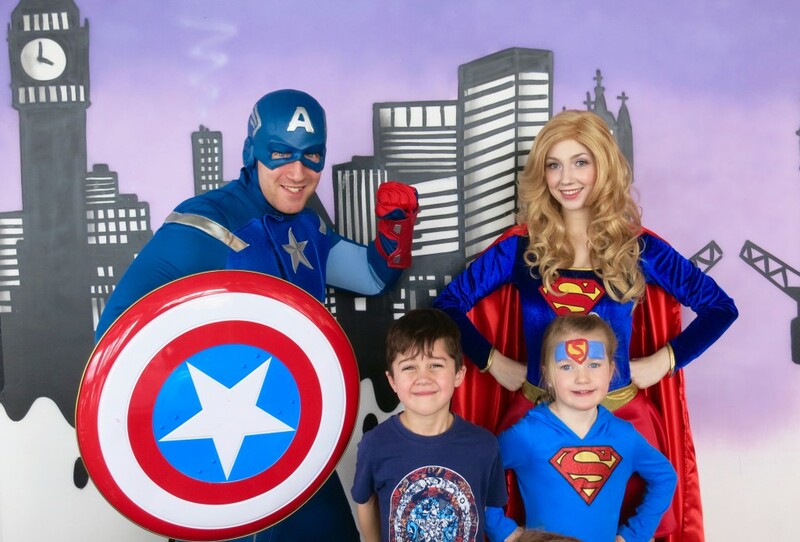 Our Superheroes perform annually at a variety of special events and seasonal fairs, including: Christmas, Halloween, March Break, Summer Outdoor Festivals, Customer Appreciation Day, Bring your Kid to Work Day, Street Festivals, Nightclubs, Movie Openings and Community Centre events. 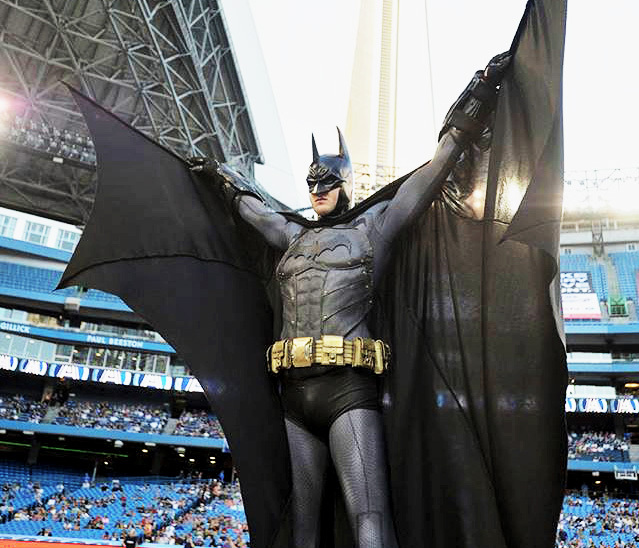 Call our Superheroes to make your next event a memorable one. The superhero actions will entertain kids and adults alike and create an atmosphere of sheer enthusiasm. Pricing varies based on event requirements. Please contact us for more information. Our Company is passionate about social causes. If you belong to a charitable foundation or organization, we would love to work with you. Please contact us for more information about pricing and opportunities. Important – All pricing quoted above is for one character events in the Greater Toronto Area (GTA). Events outside of the GTA will incur an additional travel fee. Multiple character bookings are available for all events at a special discount. Other areas we cover include Toronto, North York, Richmond Hill, Vaughan, Woodbridge, Scarborough, Markham, Etobicoke, Oakville, Milton, Mississauga, Burlington, Hamilton, St. Catherines. For any other area, please do check with us for availability.